I have been sitting and watching events unfold, and not wanting this to turn into a redundant, single-topic space, I have held off on making any posts on the Bergoglian Antipapacy for a while – it’s “stale Big Macs” as SuperNerd says. But, since there is always a steady stream of new eyes finding their way here, I think the time is ripe to once again clearly lay out an explanation of what exactly is going on with Antipope Bergoglio, and most importantly, to lay out with COMPLETE CLARITY the one and only path forward – which is the path that aligns completely with what is true and real. Deviate but a little from the truth, deviate from THE REAL, and all will be in vain. …would make absolutely no sense whatsoever. The standard of “SUBSTANTIAL ERROR” must, by definition, be an objective standard outside of the mind of the man. If not, then “SUBSTANTIAL ERROR” would be impossible, because the mind of Ratzinger would itself be the standard, and thus Ratzinger would be either incapable of error – which, again, renders the Canon moot by logical definition, OR Ratzinger knowingly, consciously adopted a position which he KNEW to be erroneous… WHICH WOULD BE AN ACT OF MALICE, WHICH IS ALSO AN INVALIDATING CRITERION AS STATED IN THE CANON! Pope Benedict XVI Ratzinger, almost certainly despairing and very possibly coerced by the saturation of sodomites and Freemasons infecting the Vatican, college of bishops, and institutional Church as a whole, concocted a scheme allowing him to abandon his responsibilities as the Successor of Peter. To use a chess analogy, Pope Benedict XVI looked at the board and believed that he, the “white king”, was not only in check, but that EVERY PIECE ON THE BOARD, INCLUDING PIECES THAT HE PREVIOUSLY THOUGHT WERE “WHITE”, WERE ACTUALLY “BLACK” AS WELL. Pope Benedict Ratzinger’s plan was to attempt to “fundamentally transform” the Petrine Office – an Office of supernatural character and supernaturally protected, but NOT indelible as we will discuss in a moment, instituted by Jesus Christ Himself, and thus COMPLETELY NON-TRANSFORMABLE by anyone ever. Pope Benedict XVI convinced himself that he would do this by claiming to have SPLIT THE PAPACY into a “college” consisting of both “active” and “contemplative” members. In short, he wanted to quit while not quitting. Here, allow me to go back once again to 19 April 2005 (Ratzinger’s elevation to the papacy). The real gravity of the decision was also due to the fact that from that moment on I was engaged always and forever by the Lord. Always – anyone who accepts the Petrine ministry no longer has any privacy. He belongs always and completely to everyone, to the whole Church. In a manner of speaking, the private dimension of his life is completely eliminated. I was able to experience, and I experience it even now, that one receives one’s life precisely when one gives it away. Earlier I said that many people who love the Lord also love the Successor of Saint Peter and feel great affection for him; that the Pope truly has brothers and sisters, sons and daughters, throughout the world, and that he feels secure in the embrace of your communion; because he no longer belongs to himself, he belongs to all and all belong to him. The “always” is also a “for ever” – there can no longer be a return to the private sphere. (<in his mind> the papal coronation indelibly anoints the pontiff in a distinct way, which is different from, and more profound than, the priestly or episcopal ordination/consecration). My decision to resign the active exercise of the ministry does not revoke this. (the indelibility is <in his mind> irrevocable – Benedict is pope forever, but <in his mind> now exercising only part of the Petrine ministry). I do not return to private life, to a life of travel, meetings, receptions, conferences, and so on. I am not abandoning the cross, but remaining in a new way at the side of the crucified Lord. I no longer bear the power of office for the governance of the Church, but in the service of prayer I remain, so to speak, in the enclosure of Saint Peter. Saint Benedict, whose name I bear as Pope, will be a great example for me in this. He showed us the way for a life which, whether active or passive, is completely given over to the work of God. “He left the Papal Throne and yet, with the step he took on 11 February 2013, he has not abandoned this ministry,” Gänswein explained, something “quite impossible after his irrevocable acceptance of the office in April 2005.“ (Do you see how this echoes Benedict’s erroneous idea of the papal coronation being an irreversible event, creating an indelible/irrevocable mark on the recipient forever? It’s exactly the same idea Benedict put forth in his final general audience). Pope Benedict XVI Ratzinger WAS AND IS IN SUBSTANTIAL ERROR, and thus, per Canon 188, his resignation was INVALID BY THE LAW ITSELF. Since his attempted partial-resignation was made in SUBSTANTIAL ERROR and was thus INVALID, this BY DEFINITION MEANS that the status quo was maintained – THERE WAS NO CHANGE FROM 28 FEBRUARY to 1 MARCH ARSH 2013 in the occupancy status nor the occupant of the See of Peter. To argue that the law would allow for an INVALID resignation to lead to a vacation of the Petrine See is FLATLY IRRATIONAL, and would utterly negate the entire principle of validity qua validity. If the principle of validity falls, or is declared “unimportant” with regard to Canon 188 and the identity of WHO THE VICAR OF CHRIST IS, then validity also is “unimportant” with regards to marriage, and consecration of the Eucharist. Sauce for the Goose, gentlemen. It bears mentioning at this point that Pope Benedict XVI Ratzinger COULD have resigned the papacy. Papal resignations have happened previously – in fact, we know that Pope Benedict XVI Ratzinger had resigning in mind long before February of ARSH 2013. He visited the tomb of Pope Celestine V twice, who did resign validly – on one occasion leaving his papal stole on Celestine’s tomb. In retrospect, we now realize that this was clearly a signal to The sodomitical Sankt Gallen Mafia, led by the odious arch-heresiarch Cardinal Carlo Maria Martini, who had partially brokered Ratzinger’s election in ARSH 2005 under the condition that Ratzinger would only be given a limited amount of time – as it turned out, eight years. Even after researching papal resignations and what they entail, Pope Benedict XVI after announcing his invalid resignation did and has done almost everything possible to show the world that he believes his “resignation” was only PARTIAL, and that he believes exactly what he and his personal secretary, Archbishop Georg Ganswein, have said publicly as blockquoted above: That Pope Benedict XVI Ratzinger believes himself to be “a participant” in the “now profoundly and lastingly transformed”, “synodal”, “collegial” Petrine Office. Instead of retiring to a life of cloistered invisibility as every other resigned ex-pope has done, Pope Benedict XVI has broken every precedent and remained visible, and inside the Vatican Walls. Further, Pope Benedict XVI has freely chosen to keep his Papal name – an impossibility with truly resigned popes, who reverted to their pre-papal names. Further, Pope Benedict XVI has freely chosen to keep the Papal style, and is called “His Holiness” – another impossibility for a genuinely resigned Pontiff. Finally, Pope Benedict XVI has continued to wear the Papal White – utterly unprecedented, telling an obvious, baldfaced lie when asked why he continued to wear the White, claiming that “there were no black cassocks for me to wear.” This lie is so egregious, so in-your-face, that it implies either a massive contempt for his flock, OR it was intended as a hamfisted signal. At this point, the nature of the Papacy itself needs to be addressed. There is not now, nor can there ever be any such thing as a “Pope Emeritus”. This title is an ONTOLOGICAL IMPOSSIBILITY. Why? When bishops retire, they are called “bishop emeritus”. Why can’t there be a “Pope Emeritus”? The answer is simple, but almost universally misunderstood. The episcopacy – the office of bishop – is, like the priesthood, an INDELIBLE office. Priests and bishops are ordained AND anointed. The anointing (yes, with actual oil) makes an INDELIBLE MARK on the man. A priest, once ordained, even if defrocked and laicized, IS A PRIEST FOREVER. The same goes with the office of bishop. Bishops are ANOINTED bishops – the mark is indelible, even if they are deposed. A deposed bishop will stand before Jesus Christ at his particular judgment AS A BISHOP, and he will be made to answer AS A BISHOP. Priestly and episcopal ordinations CAN NEVER BE UNDONE. This is why even a defrocked priest can and should, in a life-and-death emergency, absolve sin. No matter what. NOTHING erases the indelible mark of the anointed priesthood, and the anointed episcopacy. Hence, when a bishop retires, he is still a bishop, and is thus called “bishop emeritus”. THE PAPACY IS NOT AN ANOINTED OFFICE. The Pope is CROWNED in a coronation, he is NOT “ordained” or anointed. There are THREE holy orders in The Church: Deacon, Priest and Bishop. The Papacy is NOT NOT NOT a “fourth level” of Holy Orders. It is not an indelible, ordained position. THIS IS WHY THE PAPACY CAN BE VALIDLY RESIGNED. And, this is also why we KNOW that Pope Benedict’s attempt at resigning was invalid. Pope Benedict XVI added the substantially erroneous word “emeritus” to his title. There are exactly TWO possible titles involving the word “Pope”. Those two possibilities are: POPE and EX-POPE. “Antipope” is not a title, but a criminal status. And I’m dead serious about that. There is no other ontological possibility. The title “POPE” can only refer to ONE LIVING MAN at a time. It is an ontological impossibility to have more than one living Pope. Anyone who has reached psychological adulthood can clearly and immediately understand why: The buck has to stop with someONE. SomeONE has to be in charge. Anything else yields chaos, and chaos is of the Devil. We are seeing this “chaos” unfold just within the past week: Pope Benedict XVI Ratzinger is backing the small group of German bishops who are opposing the push for intercommunion with Protestants, while the vast majority of German bishops – heretics all – are pushing for sacrilegious intercommunion with the full support of Antipope Bergoglio. In order to hold ANY position other than the truth with regards to the identity of the Vicar of Christ requires assent to either the arch-heretic Antipope, or to deny the indefectibility of The Church AND the Petrine Promise, which immediately leads to a denial of the Divinity of Christ. More sauce for the Goose, gentlemen. Given that Pope Benedict’s attempted resignation was INVALID BY THE LAW ITSELF, it is absolutely essential to understand and acknowledge that THIS IS THE ONE AND ONLY PREMISE UPON WHICH THE REMOVAL OF ANTIPOPE BERGOGLIO CAN BE BASED UPON. The problem is 28 February, ARSH 2013. Nothing AFTER 28 February ARSH 2013 is germane to the discussion. Any other criterion is a FALSE BASE PREMISE that will only yield more chaos and plays directly into satan’s hands. A retired bishop from Corpus Christi, Texas, Bishop Gracida, has recently made headlines by stating that Bergoglio’s validity is in question due to “irregularities” in the faux-conclave of ARSH 2013, specifically the openly admitted electioneering by the Sankt Gallen Mafia supposedly in violation of Universi Dominici Gregis, a document promulgated by Pope John Paul II addressing papal conclaves. While I certainly admire the good bishop for speaking up, I am morally obliged to warn one and all in the clearest possible terms that the “irregularities in the March 2013 conclave” premise IS A FALSE PREMISE, WHICH MUST NOT BE PURSUED. What went on in March of ARSH 2013 is NOT GERMANE to the question of who the Pope is. Bergoglio, as odd as it may seem at first blush, actually has NOTHING TO DO WITH IT. You cannot “depose” an Antipope, because an “Antipope” HOLDS NO OFFICE TO BE DEPOSED FROM. What must be done with an Antipope is simply to acknowledge the reality that he IS NOT THE POPE and nullify EVERYTHING applicable (some administrative/juridical actions are “healed at the root” by The Church, but these are merely administrative acts), and in this case, because the See of Peter IS NOT VACANT and hasn’t been vacant since the interregnum period of April of ARSH 2005, acknowledge that Pope Benedict XVI Ratzinger has been the one and only Pope all along. Universi Dominici Gregis ONLY APPLIES TO VALID CONCLAVES. The conclave of ARSH 2013 was totally and completely invalid, and thus Universi Dominici Gregis has absolutely nothing to offer in this situation. Arguing from Universi Dominici Gregis presupposes that the Conclave of ARSH 2013 was valid, and thus that either the See of Peter is vacant and has been for over five years – which it MOST CERTAINLY IS NOT – or sets the false precedent that will be used by the Enemy in perpetuity that ALL conclaves are questionable if a group within the Church decide that they don’t like a validly elected Pontiff. MORE CHAOS. All because the base premise is FALSE. There WAS NO CONCLAVE IN 2013, ergo, any conversation revolving around Antipope Bergoglio and Universi Dominici Gregis WILL END IN MORE ERROR AND CHAOS. If Antipope Bergoglio WERE to be removed based on the false premise of Universi Dominici Gregis, another faux-conclave would be called, and another Antipope installed, almost certainly the current Secretary of State Pietro Parolin, who has exactly the same evil agenda as Antipope Bergoglio, except he is 19 years younger, and has 30-40 I.Q. points on Bergoglio. … which ALSO, as strange as it may seem, IS NOT GERMANE TO THE QUESTION OF WHO THE POPE IS. Since Antipope Bergoglio has never for one second been the Pope, none of his heretical words and deeds have anything to do with his status as Antipope. Bergoglio is Antipope BECAUSE OF POPE BENEDICT’S INVALID RESIGNATION, which predates the Bergoglian Antipapacy by fully two weeks. When one acknowledges this reality, all scandal and confusion with regard to Antipope Bergoglio’s actions as they relate to the Petrine Promise and the dogma of Papal Infallibility instantly disappear. THE TRUTH, FULLY ACKNOWLEDGED AND PROPERLY UNDERSTOOD, IS NOT SCANDALOUS. The truth sets us free. The truth is edifying. The truth increases our faith – it never erodes it. While Pope Benedict XVI is certainly the worst Pope ever for what he has done, the dogma of Papal Infallibility has not been violated. We know by simple logic that Pope Benedict’s substantial error is NOT a breach of Papal Infallibility (the definition of which is admittedly extremely tight) precisely because it is FORESEEN IN CANON LAW. It makes absolutely NO SENSE to argue that Canon Law and the Dogma of Papal Infallibility could be in direct opposition to each other, namely that a Pope could violate the dogma of Papal Infallibility by doing something which Canon Law specifically states that the Pope RETAINS HIS OFFICE AFTER DOING – in this case attempting to resign in substantial error. So what MUST be the path forward? It is very simple. Pope Benedict XVI Ratzinger needs to be TOLD, not asked, TOLD that he is the one and only living Pope, and that this charade of a bifurcated papacy and thus the Bergoglian Antipapacy MUST END. 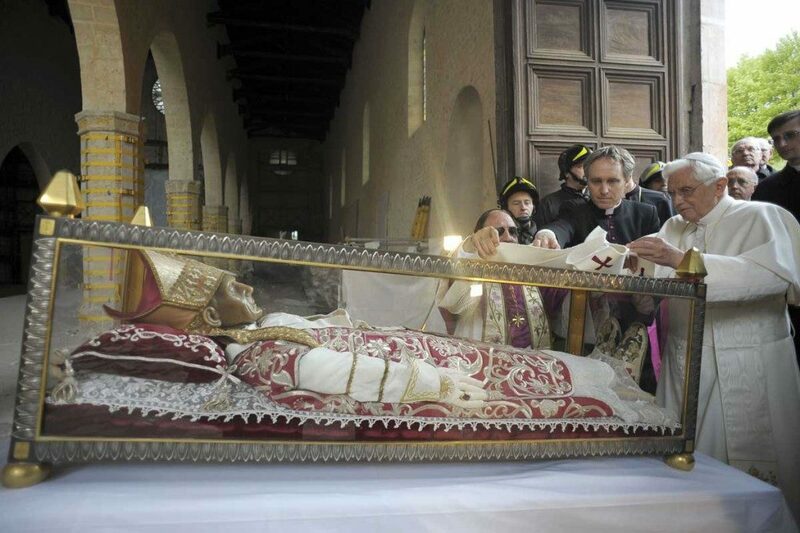 If Pope Benedict does not do this before he dies, his eternal soul will be in dire, dire risk of eternal damnation. Whether or not Pope Benedict repents of this monstrosity that he has wrought, Antipope Bergoglio MUST be publicly acknowledged as never having been the Pope, and his Antipapacy MUST be forcibly ended. In order to minimize (if one can even use that word at this point) the schismatic cult Antipope Bergoglio would foment, Jorge Bergoglio must also be DISMISSED FROM THE CLERICAL STATE – laicized. 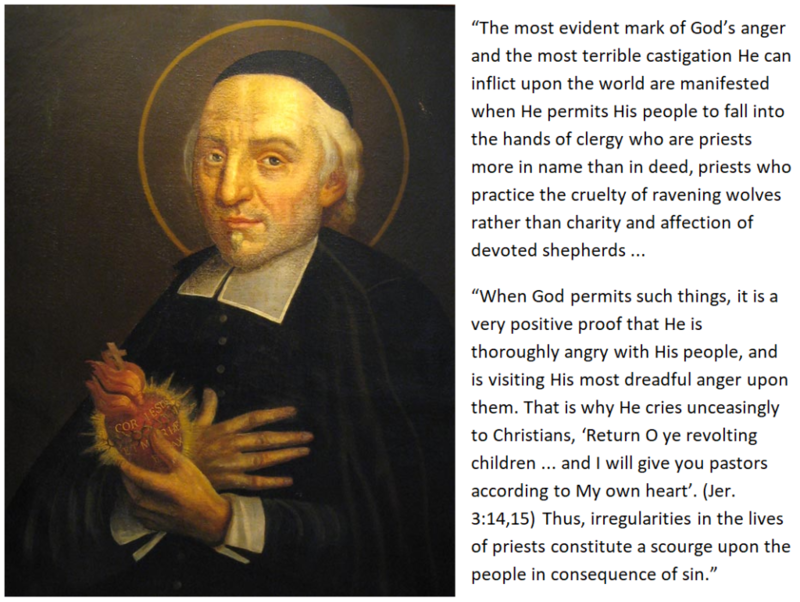 If you think this is harsh and unreasonable, I would ask you to consider what Pope St. Pius V would have done to Bergoglio. IF Pope Benedict XVI refuses to fulfill his office, the Church should be held in a state of emergency regency, with only the barest essential administrative functions being carried out until Pope Benedict XVI either dies, or validly resigns (and remember, for Pope Benedict XVI to offer a valid resignation would by definition confirm that his attempted resignation of 28 February ARSH 2013 was, in fact, invalid). Now a few additional thoughts and notes. First, the notion that this position as laid out above is “only held by a few dips and whackos”. Folks, this is simply false. There are more and more people every day coming to the conclusion that there is no possible way that Antipope Bergoglio is the Vicar of Christ, and thus under the special protection of the Holy Ghost as promised by Our Lord and Savior Jesus Christ – and furthermore that the problem and root cause of all of this MUST be Pope Benedict’s totally unprecedented and EXTREMELY SUSPICIOUS actions in February of ARSH 2013. Prof. de Mattei picked up on an inescapable logical conundrum: either Pope Benedict’s attempted resignation was made in substantial error (this is the objective truth), OR the Petrine office is impossible to renounce. If his resignation was made in substantial error (which it was), then it was invalid and he is still the Pope. If the Papacy is an indelible part of the sacrament of Holy Orders thus allowing for a “Pope Emeritus” (which it isn’t, but just for the sake of the logical argument), then the Papacy is irrevocable and Pope Benedict… is still the Pope. If you agree with the simple, direct explanation laid out above, YOU ARE NOT CERTAINLY ALONE, AND YOU ARE NOT A BAD PERSON OR A BAD CATHOLIC. The largest “trad blogs”, and yes, I’m going to go ahead and call them out: Fr. Zuhlsdorf, OnePeterFive, and The Remnant Newspaper, have adopted a policy of aggressively censoring ALL MENTIONS of what has been outlined above – often referred to in the Anglosphere as “The Barnhardt Thesis” or “Barnhardtism”. My name is a censor parameter on many Catholic blogs. As an aside, I’m sure all of my living relations with the last name Barnhardt are absolutely delighted to have the family name used thus, and to be associated with me, even if only by blood and not religion or political/social stances. I apologize to them, certainly, for any embarrassment and any awkwardness I have caused, but, this strange business of “dragging the family name through the mud” is something that I had to and have to do. God knows I had absolutely no idea what a bizarre and completely unforeseeable path my life would take. But, it unfolded before me, and NOT following it was simply morally impossible. If a poll were taken amongst actual, believing, practicing Catholics who hold the Catholic faith WHOLE AND ENTIRE, I suspect the percentage of people that would hold that Pope Benedict is the one and only living pope would be a sizeable majority by now. Not that the truth is a democracy – it most certainly is not. But it is informative that a position that many, many people now hold is being almost totally suppressed and censored by the very people who cite “the acceptance of Bergoglio as Pope by the Universal Church” as a main proofset – while aggressively censoring even the slightest discussion of the validity of Pope Benedict’s attempted partial resignation. I wonder if this standard also applies to the sacrament of marriage? In less than two weeks, Prince Harry of England is going to ape the sacrament of marriage by pretending to marry the wife of a Jewish Hollywood producer – Mrs. Rachel Engleson, aka Meghan Markle. The entire planet will be nearly unanimous in declaring that Prince Harry and Mrs. Engleson are “married” to each other, when she will still be only his concubine. Will a global unanimity even more thorough than the “unanimity” of the acceptance of Bergoglio cause the words of Jesus Christ in Matthew 19 to be abrogated? If enough people believe and proclaim the lie of Prince Harry and Mrs. Engleson’s “marriage”, will that plurality in fact cause Prince Harry and Mrs. Engleson to actually be married to each other? I would also like to point out that EVERY defender of the validity of the Bergoglian Antipapacy MUST relentlessly attack the office of the Papacy itself in order to hold their erroneous position. Oddly, this never seems to register with them – they are doing satan’s dirty work for him, and are seemingly quite proud of themselves for it. On a daily basis, in order to not acknowledge the clear logical progression that the false premise of Bergoglio as Vicar of Christ inescapably demands, these exponents must argue that the Papacy is completely and totally irrelevant and always has been, that the dogma of Papal Infallibility is false, and thus that Vatican I was false, and most critically, that Our Blessed Lord’s promise to His Holy Church that the See of Peter would be uniquely and perpetually protected by the Holy Ghost Himself, and would thus be trustworthy – a promise which history, no matter how much people try to deny it, clearly shows has held even in the face of some spectacularly bad men ascending to the Papacy, was, in fact, a lie. If Our Lord’s promise was a lie, a wicked set-up just for us, and He has now, with us today, broken His promise, then he is not Divine. If He is not divine, then we are not saved, and TO HELL with The Church and The Mass, because we’re all completely and totally screwed. Pope Benedict XVI is our chastisement as articulated by St. John Eudes, but even in this chastisement, Pope Benedict XVI has never said or done anything to “completely overturn the moral edifice of The Church”, nor fulfill the prophecies of schism and apostasy, and Pope Benedict XVI remains VISIBLY the Pope – which is quite possibly the biggest mind-blower and testament of God’s awesome love for us in all of this. The trail of breadcrumbs has been left since day one. He has not left us, or tried to deceive us in any way. The truth has been right in front of us in plain sight all along. Accuse Our Lord of abandonment and deception at your own extreme peril. Finally, I want to briefly address an argument that has always left me gobsmacked. This is the argument that “The Pope is the Pope until the Pope says he isn’t the Pope.” Interestingly, this argument was first coined by a person who has held the public position for over a decade that “Novus Ordoism is a different religion.” That is, that the Novus Ordo church, and thus every bishop (with the exception of the SSPX bishops presumably?) and certainly every cardinal, are members of A DIFFERENT RELIGION, which is, by definition, an Antichurch. And yet, to be a “good Catholic” one must be told by people WHO ACCORDING TO THE PREMISE THAT NOVUS ORDOISM IS A DIFFERENT RELIGION, ARE NOT CATHOLIC who the Pope is, and assent to this authority which is, by definition and according to the stated premise, NOT THE HOLY CATHOLIC CHURCH. If anyone can explain how to reconcile this to simple logic, or the Good Shepherd Discourse, I’m all ears. I’d pay good money to see the flow chart and truth table on that one. That must graph into one hell of a Klein Bottle. According to this “logic”, Peter, when asked by Our Lord, “Who do you say that I AM?” should have replied, “I have no ability to say – only Pontius Pilate can make a definitive determination as to your Nature.” Note that I didn’t say “the Sanhedrin”. The Sanhedrin were Jews. No, to make the analogy sound, Peter would have had to have deferred to PONTIUS PILATE according to this argument. It’s funny what spending one’s days watching TeeVee and not going to Mass can do to a person’s mind. Does who the Pope is or is not matter? It matters only as much as whether Our Lord is Divine matters. Or as much as the eternal fate of every human soul capable of being scandalized by Bergoglio matters. It matters only if you truly love and are devoted to the Chair of Peter. So… you tell me. Well, that’s 4800 words. I’m sorry for the length. I hope this helps even one person, God knows. This entry was posted in Uncategorized on May 8, ARSH 2018 by Ann Barnhardt.